As Porsche enthusiasts, we want to help you keep your classic 944 in great shape for the road or track. Our catalog of late 944 Porsche parts will keep your car running well and ensure your classic Porsche stays on the road for another 30 years. Ever wonder which engine you REALLY have in your Porsche? 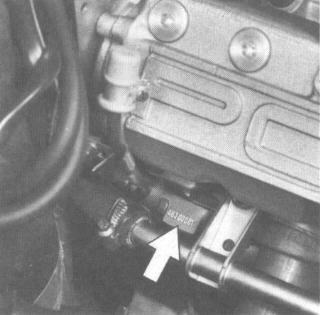 On the 924S/944/968 series cars you can find the engine designator stamped on the block. MY 83-87 - The engine number is stamped into the left-hand rear crankcase section. 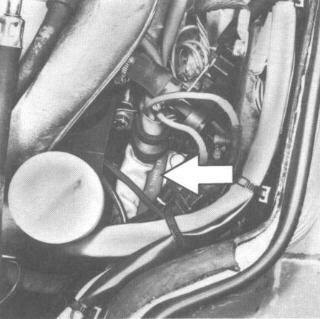 Note: Battery cable for starter may obstructing the number stamp on engine. MY 88-95 - The engine number is stamped into the right-hand rear side of the engine, just below the #4 exhaust outlet. The Combo Pin Wrench is a must have for 944 & 968 owners. Ball. Item #31 in diagram shown. Compression Spring. Item #32 in diagram shown. Guide Piece. Item #33 in diagram shown. Head Gasket - 1.4mm Thick - For Machined Head. From motor mounts and specialized tools to Porsche 944 belts, we have Porsche 944 engine parts for regular maintenance or a complete rebuild, including Porsche 944 engine seals. And, our complete catalog has exterior parts like badges, door seals and trim. Choose Genuine Porsche OEM parts or aftermarket upgrades, we carry both. With our help and extensive parts selection, we can help you maintain your classic 944. To keep your Porsche 944 engine maintained, reference your service manual and performance handbooks when working on your Porsche. When you cannot find the answers you are looking for, contact one of our knowledgeable experts for help at 1-361-289-8834 or email us.